A friend suggested I read this book of short stories. And I am enjoying doing just that. The collection comprises 22 stories by writers that include Maupassant and Colette and take the reader from mid-19th century to a future undated time - I particularly liked that one, Manuscript Found at Saint-Germain-des-Pres by Frederic Beigbeder. 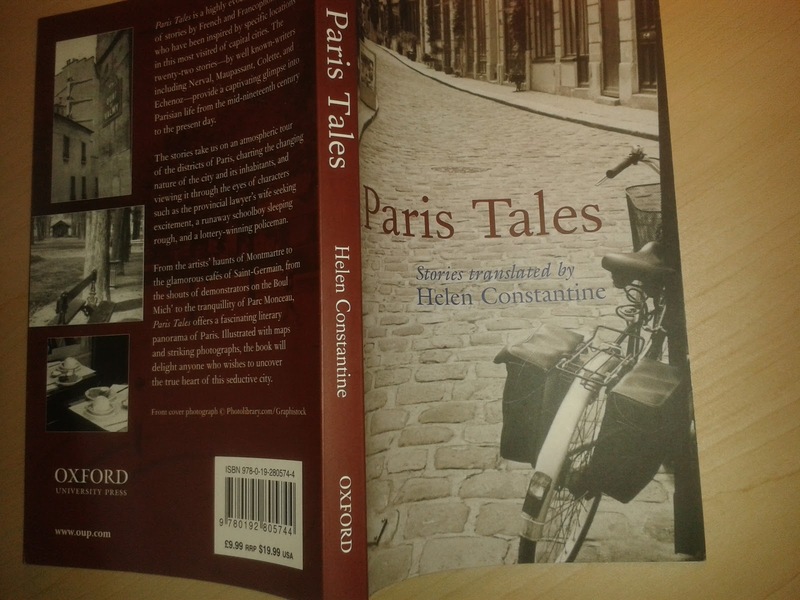 The works have been translated by Helen Constantine who also provides a personal introduction and notes that she has "not chosen these texts for their social or historical interest, but because they evoke particular places." She has helpfully included a map of the Paris Arrondissements annotated with a numbered reference to each of the stories. That makes the collection perfect for taking along on that next trip; stopping at a cafe and reading. Short stories for a short break? 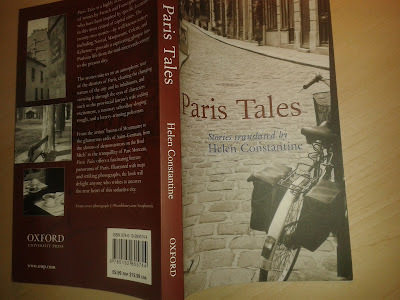 Like books about Paris? Check out this post from a while back.